In Sunday’s runoff presidential election, hardline Social Liberal Party (PSL) candidate Jair Bolsonaro defeated Workers Party (PT) aspirant Fernando Haddad with 55% of the vote. 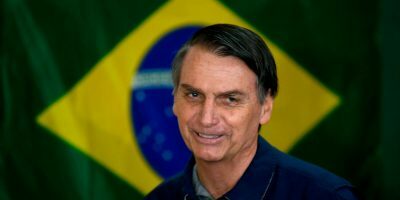 He’ll succeed US-installed Michel Temer, serving as interim president after the Obama regime’s orchestrated coup d’etat, ousting democratically elected Brazilian President Dilma Rousseff, replacing her with illegitimate fascist rule – continuing under Bolsonaro. A previous article explained that his campaign openly featured fascist, sexist, racist, homophobic rhetoric. He and Bolsonaro praised Brazil’s 1964 – 1985 military dictatorship, a dark period when countless numbers of regime critics were kidnapped and murdered. According to Bolsonaro, former Brazilian military despots didn’t go “far enough” in eliminating regime critics. He’s openly anti-indigenous Brazilians, anti-Black; anti-gay, urging parents to beat their gay children. He’ll take office for a four-year term on January 1 as Brazil’s 38th president, a former military officer turned hardline politician, certain to be a US favorite. He’s pro-hardline governance, pro-dictatorial rule, pro-free-market predation, pro-neoliberal harshness, pro-gun, pro-torture, anti-populist, anti-equity and justice for all Brazilians. His economic agenda is likely to be “aggressiv(ely)” neoliberal without neoliberal ethics…an absolutely repressive state to benefit the most powerful layers” at the expense of ordinary Brazilians. Governing this way “could cause a very serious crisis in Brazil. (He’s) openly intolerant, and that can have very serious repercussions” in a nation already hugely unequal. His extremist rule risks potentially serious consequences. “I mean real dangers of war,” said Meriguet. Sunday turnout barely over 70%, almost 29% of eligible Brazilians not voting or their ballots were marked null. Dubbed a “Brazilian Trump” or a “Tropical Trump” by some media sources, he called America’s president his inspiration. He’s pro-Israel, anti-Palestinian, promising to move Brazil’s embassy in Israel to Jerusalem, along with and shutting down the PLO office in Brazil. Trump congratulated him on his triumph, promising to work closely with him, according to White House press secretary Sarah Sanders. “We are going to change the destiny of Brazil,” he vowed – to the detriment of the vast majority of its people.